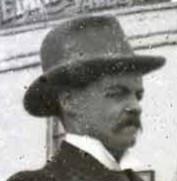 Jasper Redfern was a Sheffield-based optician who in 1898 was also offering photographic supplies and instruction, Röntgen rays (X-rays), and exhibitions of the Lumière Cinématographe, for which he was one of a number of agents in Britain at this time. Redfern operated from two addresses in Sheffield: 55-57 Surrey Street for his showrooms and 104-6 Norfolk Street for his 'Works and Studios'. Specialising in 'locals', films of interest in his area, Redfern travelled around with his local football team during 1899, photographing at least four major matches climaxing with the Football Cup Final at Crystal Palace, when Sheffield United played Derby (15 April 1899). He entitled the series Football Events. He also filmed local cricket matches. 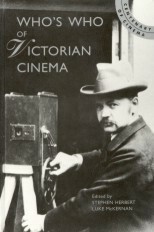 The following year he seems to have made a tour of Africa (Morocco, Tunisia, Algeria), making travelogues, and eventually went wholeheatedly into the moving picture business with his 'World Renowned Animated Pictures and Refined Vaudeville Entertainments'. This package show eventually led to his owning and operating a seaside summer show at Westcliffe, 'Jasper Redfern's Palace by the Sea'. He remained in the local film business for another ten years before devoting himself wholly to optical and medical work. He engaged in research into X-rays and the treatment of cancers at the Christie Hosptial, Manchester, and was eventually to die of cancer himself brought on by radiation poisoning. His collection of motion picture memorabilia was presented to the Science Museum.